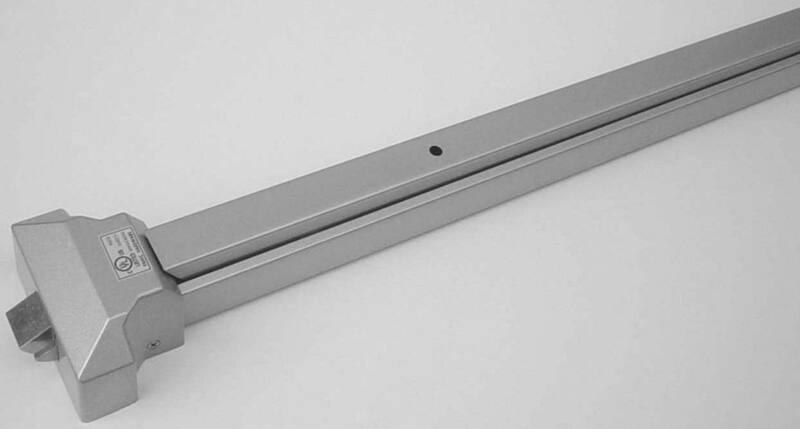 Horizontal reversible, rim type touch bar exit devices UL and KUL 520 series fit a 25" to 36" wide door, and can be used with a cylinder, keyed ball knob, or keyed lever, or a pull. Available in aluminum, or duranodic finishes. The UL520 devices are packed with latch and strike filler plates. • Vertical unit can be cut to size. Fits doors up to 36" x 96". • Vertical Touch Bar is used with the UL520 horizontal device.